EUPEC is approved by all of the majors in the Oil and Gas industry and has a reputation for finding external coating solutions to even the most complex technical and quality requirements. There are two types of product on the market; epoxy coatings and three layer polyolefin coatings. Fusion-bonded epoxy (FBE) coatings are well known for their anti-corrosion properties over a wide temperature range. Their high resistance to cathodic disbondment, long-term adhesion to steel and ability to be stored in all climatic conditions make these thermosetting coatings an environmentally safe industry standard. Dual-layer, fusion-bonded epoxy (DFBE) coatings combine the strengths of the mono layer with a second layer acting as mechanical protection. 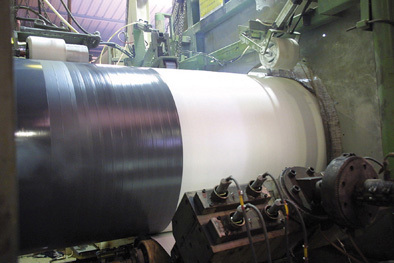 These coating systems combine the performance of epoxy with the mechanical protection of polyolefin, which may be polyethylene (3LPE) or polypropylene (3LPP). A copolymer adhesive layer binds the two products. Both coating systems have excellent adhesion properties and offer proven high resistance to impact and cathodic disbondment. They provide optimum stability over many years and their combination with adequate cathodic protection is guaranteed to prolong the life of the pipeline. 3LPP coating has the advantage of providing high temperature mechanical performance during production. This mechanical strength also proves valuable during transport, handling and the laying phase.